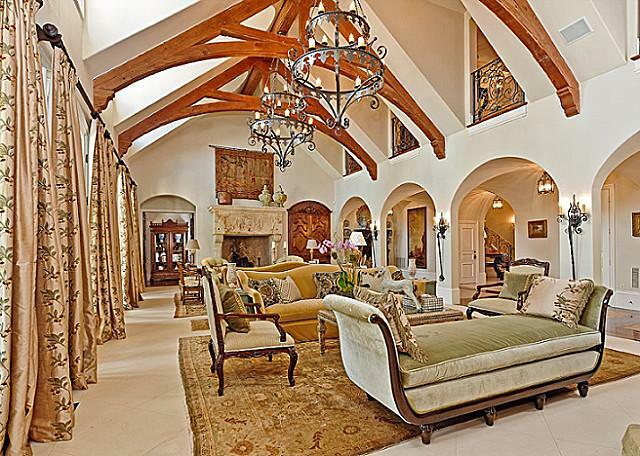 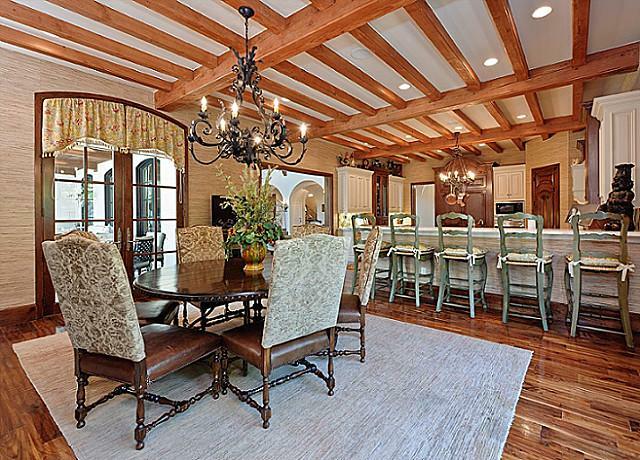 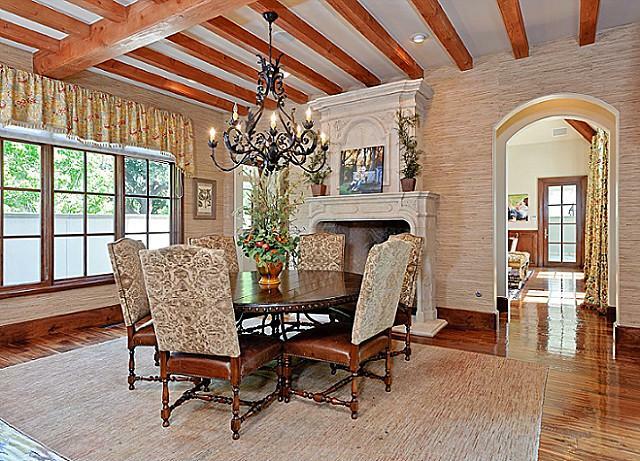 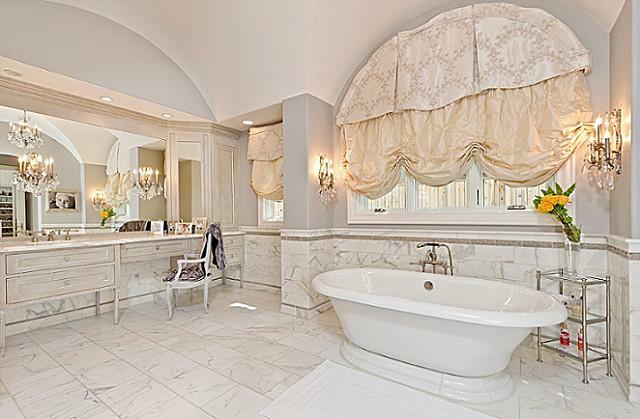 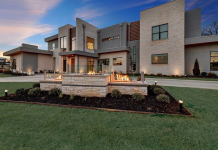 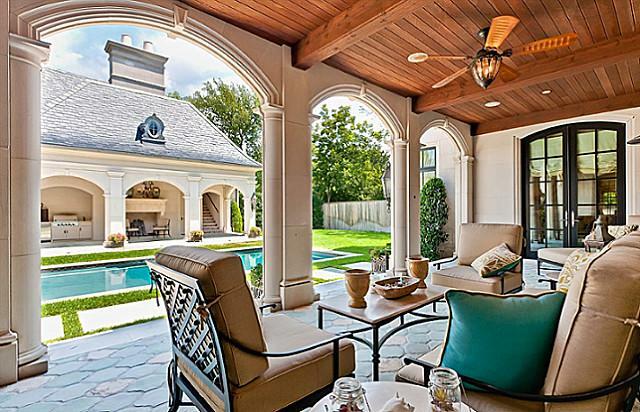 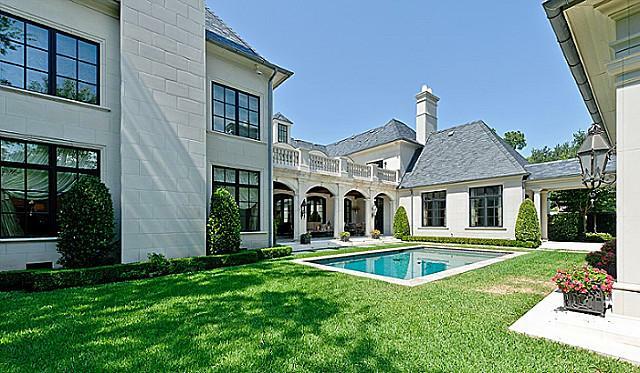 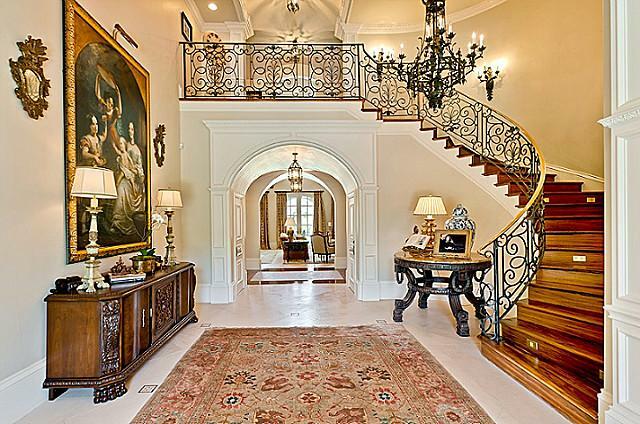 This French inspired home is located at 3518 Armstrong Avenue in the Highland Park neighborhood of Dallas, TX. 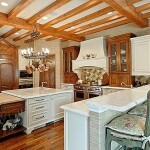 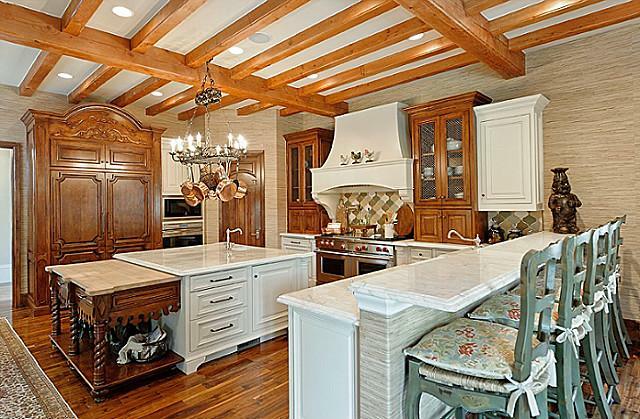 Built in 2008, this elegant home modern details with rustic charm. 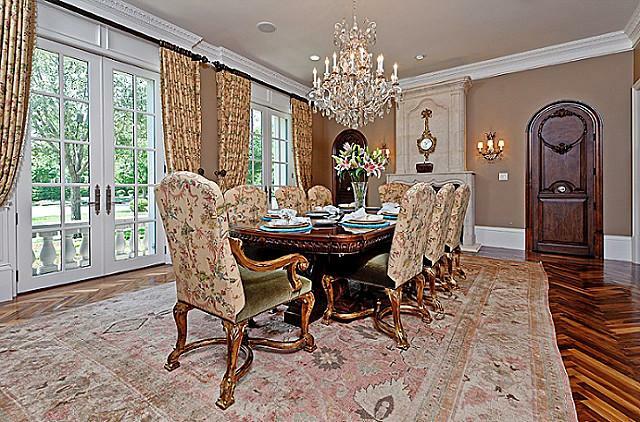 It boasts 12,234 square feet of living space with 7 bedrooms, 6 full and 3 half bathrooms, 8 fireplaces, 2-story foyer with sweeping staircase, formal dining room, 2-story living room with vaulted beamed ceiling, gourmet kitchen with beamed ceiling and furniture grade cabinetry, breakfast room with beamed ceiling, home theater with plush seating, covered patio, swimming pool with cabana, guest house and a 3-car garage. 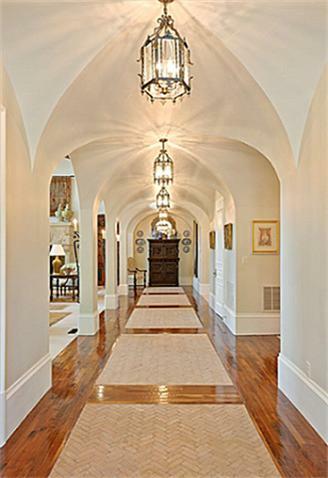 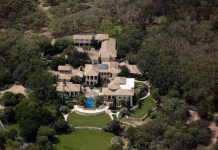 It is listed at $6,475,000.